In class: Cover the specifics of conducting the 8-week program and introduce the participants to the Body Scan Meditation.Introduce Mindfulness with the Raisin Exercise and the 9-Dot Puzzle. Post In-person Class Practice: Read The Body Scan Meditation. Do the Body Scan at least six times this week. Just let your experience be your experience. Record your experiences this week on your daily chart form. Post In-person Class Practice: Read the description of the Sitting Meditation. Between now and next week, practice at least six times, alternating the Sitting Meditation with the Body Scan. Just let your experience be your experience. Record your experiences this week on your daily chart form. Post In-person Class Practice: Read the description of Mindful Yoga. Practice at least six times this week, alternating Mindful Yoga 1 with the Sitting Meditation (e.g., three of each). At least one of the days, do a Body Scan. Just let your experience be your experience. Record your experiences this week on your daily chart form. There is also an additional video emphasing use of chair for Yoga 1 to use in Week 3 It is called MBSR Yoga 1 with emphasis on chair poses Click here to view. Post In-person Class Practice: Practice at least six times this week, alternating Mindful Yoga 1 with the Sitting Meditation. Also practice One-Minute Breathing Space during the week. Just let your experience be your experience. Record your experiences this week on your daily chart form. There is also an additional video emphasing use of chair for Yoga 2 to use in Week 4 It is called MBSR Yoga 2 with emphasis on chair poses Click here to view. Post In-person Class Practice: Practice at least six times this week, alternating Sitting Meditation (guided or unguided) with either the Body Scan or Chair Yoga. On the first day, though, try the Soften, Soothe, Allow Meditation. The Soften, Soothe, Allow Meditation is 15 minutes long, so on that day, you will have a shorter practice session (if you’d like a full 30 minutes, you can add silent meditation on your own that day). Record your experiences this week on your daily chart form. Post In-person Class Practice: Practice at least six times this week, doing either a Body Scan, Chair Yoga or Sitting Meditation (guided or unguided). Also, do either the Mountain Meditation or the Lake Meditation at least once. As before, don’t expect anything in particular. Just let your experience be your experience. Record your experiences this week on your daily chart form. In class: Use the Mountain Meditation or Lake Meditation from Series 2 of the MBSR Audio Series with a discussion of The Three Elements of Self-Compassion along with assorted readings and powerpoints. Post in-person Class Practice: Practice at least six times this week, doing anything you’ve learned up until now (Body Scan, Sitting Meditation, Chair Yoga), with or without guidance. As before, don’t expect anything in particular. Just let your experience be your experience. Record your experiences this week on your daily chart form. Each week Trainees will be given selections from Coping.us to review. It is suggested that trainees go over the table of contents and select relevant topics which they believe their protential audiences in their MBSR training sessions they will conduct would be most interested in reviewing to lessen the stress, anxiety, tension and depression in their lives. These reading homework assignments are not intended to be the only sources of outside documents which trainees would like to consider to bring to their potential audiences. 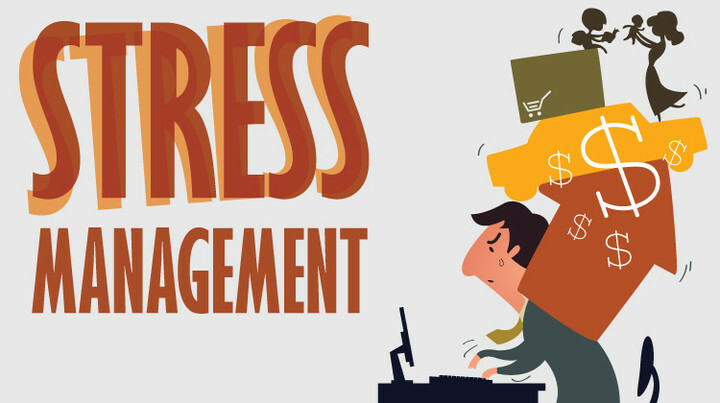 NOTE: To help to enhance each of the weekly sessions be sure to utilize the tools available on coping.us listed at the beginning of this Stress Management section BELOW. Second: If the clients have been to other professionals to address their stress-related issues then you need releases of information so that you can get reports on their treatment and progress of these clients in working with them. Third: Before developing a plan for your clients you must be sure to do a complete Initial Clinical Assessment (http://coping.us/cliniciantreatmenttools/clinicalassessmentplan.html) which includes exploration of ACE Factors (http://coping.us/cliniciantreatmenttools/acefactors.html) and history of any other major medical, social or interpersonal traumatic events which might account for the severity and duration of their stress. Fourth: It is important once the initial assessment is completed that you then utilize Motivational Interviewing Strategies (http://coping.us/motivationalinterviewing.html) to determine if the clients are actually ready to do the work necessary to deal with their stress as a reality of life, to work seriously at following through with the steps being outlined for them to pursue to lessen the impact of stress in their lives. Resources Used to Develop this 8 week modified MBSR program for use in a variety of mental health settings. JKZ Apps Each of the three volumes of Jon Kabet-Zinn's Meditations are also available at the Apple Apps store. Each volume can be downloaded to your devices for easier availability. Each App costs $10.00. I suggest you start by doing the body scan meditation (track # 1) for two weeks straight before going on to alternate with the guided mindful yoga 1 (track # 2) for another two weeks, one program per day. If the yoga is too strenuous for you (it is quite gentle actually, and you are encouraged to do it to your own capacity and visualize yourself doing whatever parts of it you are not yet ready to try), you can just alternate between the body scan and the guided sitting meditation (track # 3). The postures for both yoga tracks are outlined in Full Catastrophe Living. The volume of my voice on the yoga tracks drops in certain places because I am speaking as I am doing the postures myself. This is not a defect in the program. Just follow along as best you can. The volume comes back up as the posture releases. After four weeks with tracks 1 and 2, you can introduce the guided sitting meditation practice (track # 3) and alternate it for the next two weeks with mindful yoga 2 (track # 4), or with the body scan or mindful yoga 1, depending on your inclination. In week seven, you are encouraged to try to keep up the practice for a week without the tracks, using whatever combination of practices you care to. In week eight, you are encouraged to return to the tracks, and use whichever ones make the most sense to you as you develop your own unique meditation practice, hopefully for the rest of your life. Of course, you can always combine the various practices in any way that you care to, at any time. The first three guided sitting meditations introduce you to the basic elements of formal mindfulness meditation practice, including both the inner and outer attitude reflected in your posture and in the quality of your attention. You can work up progressively from the ten-minute version to the twenty-minute one to the thirty-minute one as your concentration and awareness deepen over time. The guided meditations on track 4-6 are aimed at cultivating mindfulness while lying down, preferably on your back. This may require that you learn how to “fall awake,” which is, after all, what mindfulness is about, instead of falling asleep, which is easy to do when lying down and becoming more and more relaxed. The mountain meditation and the lake meditation evoke two powerful images that may help you to deepen your concentration, broaden the field of your awareness, and expand your feeling for the inward gesture involved in mindfulness practice. Ideally, the mountain meditation should be done sitting, and the lake meditation lying on your back. Silence with bells provides an opportunity to practice on your own, without my guidance, once you have the feel for it from the other programs. This involves just hearing whatever is here to be heard in any moment, whether it is silence or sound. In his own words, Jon Kabat-Zinn introduced this series as: these Series 3 guided meditations are tools that invite and reward something more than a casual listening. They are designed to be used on a regular basis to help you develop and deepen a daily meditation practice and thus to strengthen the qualities of mindfulness (moment to moment non-judgmental awareness), compassion, including self-compassion, and lovingkindness in every aspect of your life. This program is geared to train mental health professionals who want to present the 8 Week Mindfulness-Based Stress Reduction program known as MBSR in their respective offices, agencies, hospitals or community. The MBSR program is an evidence based program to alleviate clients’ unhealthy stress in their lives as well as an effective tool used in an interdisciplinary setting for Non-Medication Management of Pain. The program will review the research in both stress and pain management as well as put the participants through an 8 week MBSR course with daily follow-up which includes practicing the specific meditation exercise presented in each weekly session along with daily logs on the formal and informal practice of these exercises and reviewing relevant Literature, Videos, Reading and Apps which the trainees can include in their own future MBSR programs they will conduct. 2. Learn about each of the key components of the 8 weekly sessions which include overview of the psychology behind the meditation exercise to be presented that week along with supportive documentation which expands the theoretical underpinnings of the therapeutic model presented. 3. Learn about the daily exercises they will put their clients through when they present their own MBSR training programs including how to assist clients to keep a daily log as they practice the specific meditation presented in their weekly class. 4. Learn about the various assessment which can be utilized to assess if their clients first need the MBSR program to address their stress and/or pain and then to do follow up assessments once their clients complete their MBSR program. On this Webs page you will find all of the PowerPoints, links to online video’s and Handouts for this 8 week program. What you need to bring to the first week session: Bring your laptop or a flash drive 15 gb or larger so that you can download the Mindfulness Meditations by Dr Jon Kabat Zinn which will be used in this program. commit to in our own lives on a daily basis” (Kabat-Zinn, 2011, p.290). There has been in recent year significant research to support the use of Mindfulness-Based Stress Reduction (MSBR) with patients with various conditions in and out of medical settings. However, in 2002 the findings were that the available evidence at the time did not support a strong endorsement of this approach, but it did encourage and recommended serious investigation in the future (Bishop, 2002). In 2004 a meta-analysis of 64 studies in the previous two decades with only 20 studies meeting the criteria for acceptable quality or relevance results being that MBSR may help a broad range of individuals to cope with their clinical and nonclinical problems (Grossman, Niemann, Schmidt & Walach, 2004). MSBR was found to help clients increase their mindfulness, and wellbeing and decrease their stress and symptoms (Carmody & Baerm 2007). MBSR was found to reduce ruminative thinking and trait anxiety, as well as to increase empathy and self-compassion for individuals who came for help to address handling stress in their lives (Chisea & Serretti, 2009). MBSR was found to assist clients with social anxiety disorder to have improvement in anxiety and depression symptoms and self-esteem as well as reducing emotional reactivity while enhancing emotional regulation (Golden & Gross, 2010). MBSR assisted clients to experience reduction of symptoms of stress and mood disturbance as well as in mindfulness, spirituality and self-compassion (Birnie, Speca & Carlson, 2010). Fifteen studies were evaluated and found that MBSR has the potential for improving overall well-being, quality of life and enhanced health outcomes for its participants in it group therapy format (Merkes, 2010). MBSR was found to be the most popular of all interventions utilizing mindfulness and that it shows substantial benefit for patients who suffer with chronic health conditions (Carlson, 2012). MBSR was found to result in positive signs of healthy signs of measures of growth in greater emotional regulation (Haslam, Wirth & Robb, 2017). Perceived stress, distress tolerance, and mood states showed favorable changes from pre- to post-MBSR meaning the people who had lower stress tolerance before participating in MBSR groups were more likely to experience greater benefits than those who had higher tolerance of stress before participation in such groups (Gawrysiak, et al., 2016). Participants in MBSR groups were found to have significant improvements in the four components of Psychological Capital (Hope, Self-Efficacy, Resilience and Optimism) and a reduction in depression and anxiety (Jain & Singh, 2016). MBSR was found to have stress-reducing effects due to improvements in perseverative cognition and emotion regulation, two “transdiagnostic” mental processes that cut across stress-related disorders (Greeson, et al., 2018). A number of studies focused on the impact of MBSR on social anxiety. Use of MBSR was associated with reductions in social anxiety and depression and increases in subjective well-being (Jazaieri, Goldin, Werner, Ziv & Gross, 2012). It was found that with MBSR mindful attitude and disputing anxious thoughts/feelings predicted subsequent decreases in weekly social anxiety during MBSR (Goldin et al, 2017). MBSR used in groups with student ages 17-40 were found to have a decrease in anxiety and avoidance symptoms during social situations (Ye, 2017). A preliminary Systematic review of the literature in 2011 found that studies up to that date showed that Mindfulness Based Interventions (mBIs) could have nonspecific effects for the reduction of pain symptoms and the improvement of depressive symptoms in patients with chronic pain as well as some improvements in psychologic measures related to chronic pain such as coping with pain following MBIs (Chiesa & Serretti, 2011). In 2017 another meta-analysis of 38 studies found that mindfulness meditation was associated with decrease in pain, reduction of depressive symptoms and increase in quality of life (Hilton, et al., 2017). An analysis of the mechanisms impacted by Mindfulness meditation demonstrated its effectiveness in reducing pain through multiple unique physiological mechanisms (Zeiden & Vago, 2016) including reduction of emotional reactivity, depression and stress (Brown & Becerra, 2017) and improve general mental health in patients with tension headached (Omidi & Zarger, 2015). Strong encouragement has been made to utilize Mindfulness-Based Stress Reduction (MBSR) with patients with chronic pain because it focuses not only on the mind but also the body (Merkes, 2010). MBSR has the potential to address some of the psychosocial factors that are important predictors of poor outcomes (Cherkin, et al., 2014). A study of use of a brief 5 week format of MBSR found that participants demonstrated improvements of increased acceptance through decreased judgment; enhanced observational skills and decreased social isolation resulting in improve psychological health (Bergen-Cico, Possemento & Cheon, 2013). MBSR was found to contribute positively to pain management by lowering anxiety and depression, feelings of controlling pain and acceptance of higher pain which are important dimensions in patients with long-lasting chronic pain (la Cour & Petersen, 2015). Using MBSR resulted in patients revealing significant and clinically relevant improvements in level of pain disability, psychological distress, engagement in life activities, willingness to experience pain and subjective ratings of their current pain (Beaulac & Bailly, 2015). Use of MBSR with women with chronic pelvic pain has shown promise in pain reduction (Crisp, Hastings-Tolsma & Jonscher, 2016). Use of MBSR with chronic low pain demonstrated through the measurement of increase in quality of life and decrease in pain severity (Ardito, et al., 2017). MBSR was used with patients with painful diabetic peripheral neuropathy resulting in reduced pain intensity, pain catastrophizing, depression, perceived stress and improved health related quality of life (Nathan, et al., 2017). Clinical MBSR therapy program intervention improved affective pain, sensory pain and evaluative pain for individual detoxifying from substance abuse (Hosseni, 2017). MBSR was found to improve the quality of life for veterans who suffered psychoimmunological factors of lungs damaged from the toxic chemical in the war zone (Arefuasab, et al., 2016). In a systematic review of 23 studies using MBSR and MBCT There was found improved depressive symptoms, anxiety, stress, quality of life and physical functioning. The evidence supports the use of MBSR and MBCT to alleviate symptoms, both mental and physical, in the adjunct treatment of cancer, cardiovascular disease, chronic pain, depression, anxiety disorders and in prevention in healthy adults and children (Gotink, et al., 2015). Measures of catastrophizing, self-efficacy, acceptance, and mindfulness, and similar effects showed improvement on these measures among individuals with chronic low back pain once they received either MBSR or Cognitive Behavior Therapy (Turner, et al., 2016). Pain catastrophizing and psychological distress were identified as individual mediators of the relationship between mindfulness and depressive symptoms for people with chronic pain thus supporting the inclusion of the use of mindfulness based cognitive interventions with these individual (Brooks, et al., 2018). When compared to a second internet-based intervention (Health Action Process Approach) online Mindfulness training was found to improve the mental health of its participants (Mak, et. al., 2015). A Web-based Mindfulness 8-week training program on pain intensity, pain acceptance and life satisfaction was demonstrated as being reasonably successful and open for future research and replication (Henriksson, Wasara & Ronnlund, 2016). A meta-analysis of 15 controlled studies found that online mindfulness-based interventions do have a positive impact on improving mental health of its participants (Spijkerman, Pots & Bohlmeijer, 2016). Internet Based Mindfulness Training and Cognitive-Behavioral Training were found to improve the mental health of college students in a randomized trial (Mak et al., 2017). In 2018 a systematic review of 15 studies on the usefulness of web-based mindfulness training programs found it successful in reducing depression and anxiety and in enhancing quality of life and mindfulness skills, particularly in those with clinical anxiety (Sevilla-Llewellyn-Jones, Santesteban-Echarri, Pryor, McGorry, & Alvarez-Jimenez, 2018). There were 3 APPs compared: mindfulness-based program; cognitive behavioral psychoeducation and self-compassion program and all three were found to be efficacious in improving mental well-being and reducing psychological distress (Mak, 2018). It is clear that MBSR has been shown to be an effective intervention to use with clients and patients who are dealing with stress not only from medical and psychological conditions but also from natural environmental factors. It would serve mental health professionals well to utilize the MBSR model in treating their clients who have come in seeking help to alleviate their current levels of stress. Arefnasab, Z., Babamahmoodi, A., Babamahmoodi, F., Noorbala, A.A., Alipour, A., Panahi, Y,, Shams, J., Rad, F.R,m Khaze, V, and Ghanei, M. (2016). Mindfulness-based stress reduction (MBSR) and its effects on psychoimmunological factors of chemically pulmonary injured veterans. Iranian Journal of Allergy, Asthma and Immunology, 15(6), 476-486. Bergen-Cico, D., Possemento, K. & Cheon, S. (2013). Examining the efficacy of a brief mindfulness-based stress reduction (Brief MBSR) program on general health. Journal of American College Health 41(6), 348-360. Chiesa, A. & Serretti, A. (2011). Mindfulness-based interventions for chronic pain: A systematic review of the evidence. The Journal of Alternative and Complementary Medicine, 17(1), 83-89. Grossman, P., Niemann, L., Schmidt, S. & Walach, H. (2004). Mindfulness-based stress reduction and health benefits: A meta-analysis. Journal of Psychosomatic Research 57, 35–43. Haslam, A., Wirth, M.D. & Robb, S.W., (2017). Relationship between meditation depth and waking salivary alpha-amylase secretion among long term MBSR instructors. Stress and Health 33, 298–306. Jain, H. & Singh, R. (2016). Developing psychological capital through mindfulness based stress reduction (MBSR) therapy. Indian Journal of Health and Wellness, 3(2), 79-84. Kabat-Zinn, J. (1990, 2013). Full catastrophe living – Using the wisdom of your body and mind to face stress, pain, and illness. Bantam Books: New York, NY. Ornidi, A. & Zarger, F. (2015). Effects of mindfulness-based stress reduction on perceived stress and psychological health in patients with tension headaches. Journal of Research in Medical Sciences, 20, 1058-1063. Turner, J.A., Anderson, M.L., Balderson, B.H., Cook, A.J., Sherman, K.J. & Cherkin, D.C. (2016). Mindfulness-based stress reduction and cognitive-behavioral therapy for chronic low back pain: Similar effects on mindfulness, catastrophizing, self-efficacy, and acceptance in a randomized controlled trial. Pain, 257(11), 2434-2444. 10.1097/j.pain.0000000000000635. 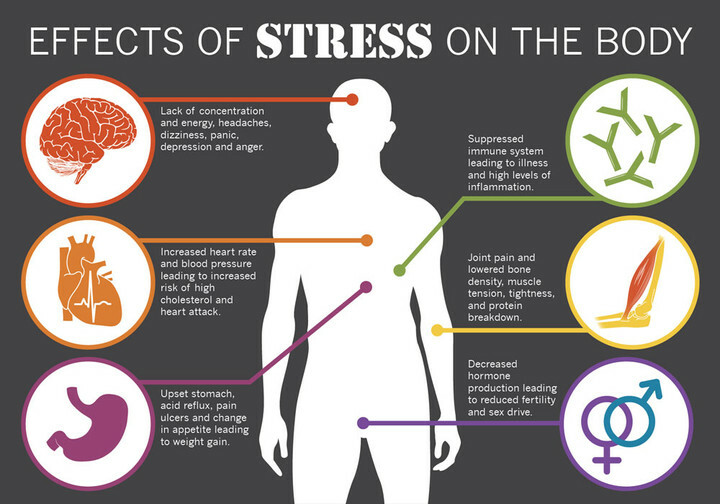 Stress is defined as a individual's response to his environment. Stress is measured in terms of arousal or stimulation. As such, stress must be present for a person to function. Everyone has their own normal (homeostatic) level of arousal at which they function best. If something unusual in the environment occurs, this level of arousal is affected. Reevaluations resulting from responses and changes in the stressors. 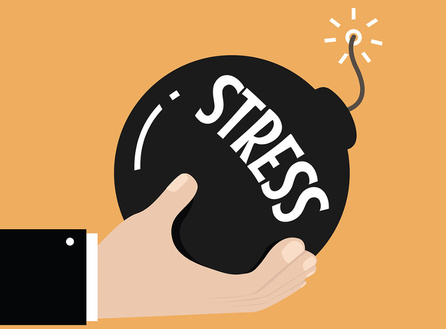 Stress: is the term which refers to the factors in the environment: which offer challenge, distress, problems to solve, which are unique to each individual and as a result are the environmental condition which elicit disease or disorder in the individual or are the conditions in the human which are ripe for the disease or disorder. What are sources of stress? developmental disability or chronic ill health of one or more members. 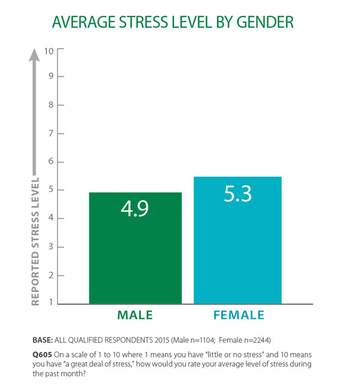 The Social Readjustment Rating Scale (SRRS), more commonly known as the Holmes and Rahe Stress Scale, was created to helps us measure the stress load we carry, and think about what we should do about it. Each event, called a Life Change Unit (LCU), had a different "weight" for stress. The more events the patient added up, the higher the score. The higher the score, and the larger the weight of each event, the more likely the patient was to become ill.
Below 150 You have only a low to moderate chance of becoming ill in the near future. 150-299 You have a moderate to high chance of becoming ill in the near future. 300 or above You have a high or very high risk of becoming ill in the near future. If your total score is more than 150, find ways to reduce stress in your daily life so that your stress level doesn't increase. The higher the score, the harder one needs to work at staying physically well. Become familiar with the different events and the amounts of stress they promote. Put the list of events where your family can easily refer to it several times a day. Practice recognizing the stress level when one of these events happens. Think about the meaning of the event for you and identify your feelings. Think about the different ways you can adjust to the event. Take your time in arriving at decisions. Anticipate life changes and plan for them well in advance whenever possible. Pace yourself. It can be done even if you are in a hurry. Look at the accomplishment of a task as a part of ongoing daily living; avoid looking at such an achievement as a stopping point. Congratulate yourself and push ahead. Recognize that your internal mechanism of coping with stress is directly tied to how your health and well-being will be influenced by it. a certain amount of stress or pressure is necessary and shows a positive adaptation being made by a person. This is called eustress. Bad or negative stress is called distress: the negative physiological and emotional response when stress is intense and unresolved. Low: This is distress leading to boredom, fatigue, frustration, or dissatisfaction. Optimum: This is eustress leading to creativity, problem solving, progress, change, learning, and energetic satisfaction. High: This is distress leading to exhaustion, illness, lack of concentration, excessive mood swings, low self-esteem, and irrational problem solving. 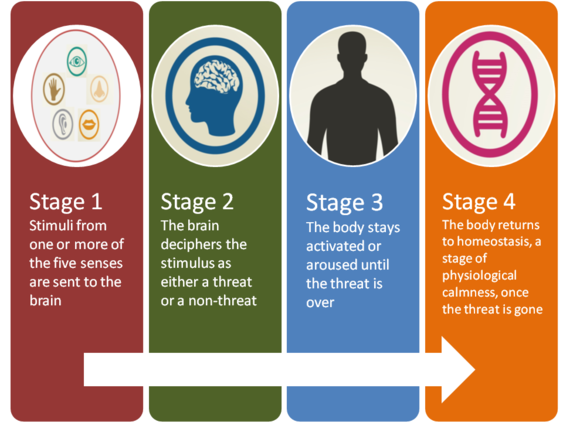 Phase 1 Alarm phase: When an unusual (or stressful) event occurs, the output of energy drops for a short period as the event is registered in the person's mind. Phase 2 Adaptation phase: Next, the output of energy increases above the normal level; arousal is heightened as the person seeks to deal with the situation. Adaptation responses available to humans include physically running away, fighting, freezing (self-immobilization), suppression emotion, or learning. Phase 3 Exhaustion phase: Finally the person's available energy is expended and his capacity to function effectively is reduced. 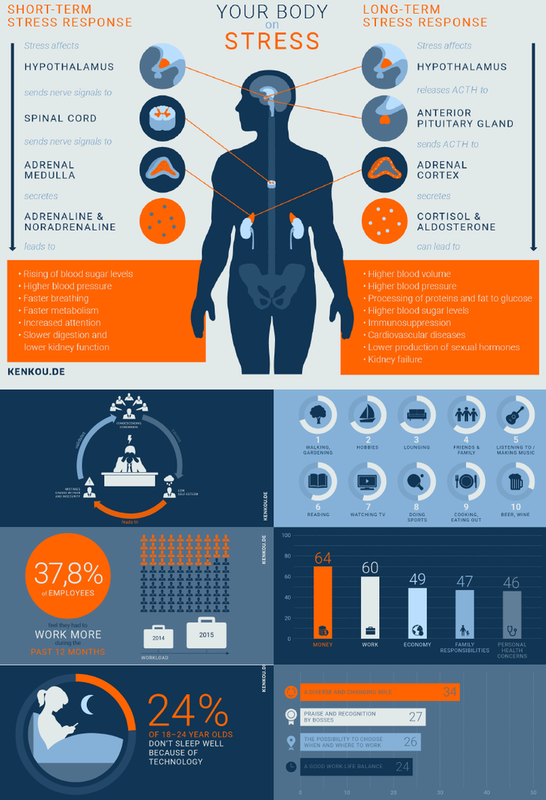 The adrenal stimulation results in production of catecholamines, Epinephrine and Norepinephrine, affecting the body’s heart rate, respiration, blood flow and muscle strength. Stress causes the pituitary gland (structure connected to hypothalamus in forebrain) to release the andreno-corticotropic hormone (ACTH). ACTH stimulates the adrenal cortex of the adrenal gland to secrete glucocorticoids. The most important of the glucocorticoids is cortisol which mobilizes the body’s resources by increasing energy and decreasing inflammation especially in injuries. 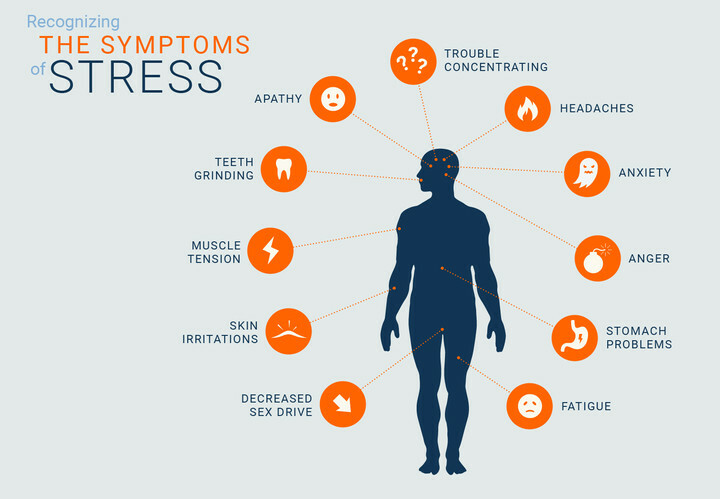 What are the results of chronic stress? 1. 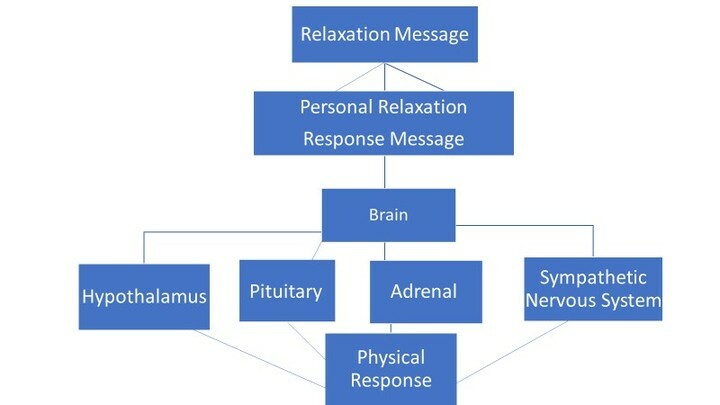 Hypothalamus is activated by messages from nervous system or blood stream during a “stressful event” and it releases CRH which initiates the fight-flight response. 2. Corticotrophin-releasing hormone (CRH) is a polypeptide hormone secreted by the hypothalamus into the pituitary portal system where it triggers the release of adrenocorticotropic hormone (ACTH) from the pituitary gland. During stress it surrounds the pituitary gland which then releases ACTH. ACTH stimulates the adrenal cortex of adrenal gland to secrete glucocorticoids. Most important of glucocorticoids is cortisol which mobilizes body’s resources by increasing energy and decreasing inflammation especially in injuries. ACTH triggers “survival hormones” during the stressful event especially Cortisol until the threat is removed. Damage to the hippocampus causes memory problems and interferes in new learning and even current memory. How can people cope with stress in healthy positive ways? 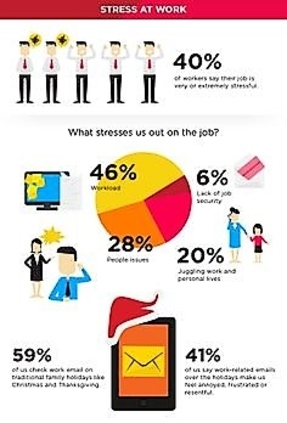 People can cope with stress while in a variety of positive ways, such as these. Write down which positive coping strategies you can and are willing to use in your stress reduction efforts. What are some negative ways in which people cope with stress? 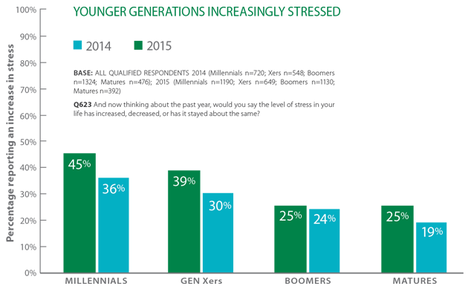 People cope with stress in a variety of negative ways, such as these. Write down which of the following behaviors you have used prior to recovery. Physical Illness: real or psychosomatic illnesses, headaches, back pain, muscle tension, gastrointestinal problems, hypertension, diabetes. 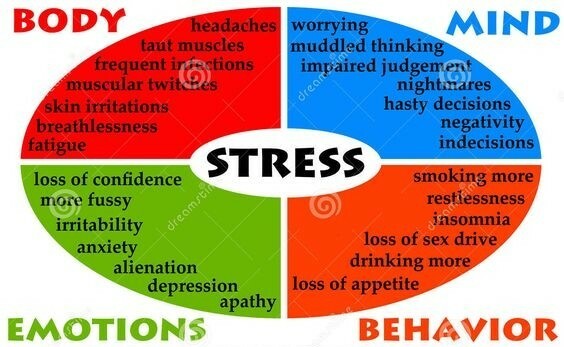 There are many illnesses related to stress, some terminal. What are the benefits of coping with stress in a healthy way while in recovery? A feeling of being in control of your life. A sense of being centered, focused, and "on target'' in life. Peace and harmony, a sense of good will for and from others. A reduction of the emotional cues that lead to impulsive or compulsive habits. A sense of mastery over your life's obstacles. Exercise - Be Active Exercise in almost any form can act as a stress reliever. It won't make your stress disappear but being active can definitely boost your feel-good endorphin and take you away from your daily worries. So be it 40 minutes of brisk walking, yoga, aerobics or some laps in the pool you will find that you have forgotten the day's irritation and concentrating on your body. The results are - energy, optimism, calm mind and fit body. Connect with people A problem shared is a problem halved. A good support network of colleagues, friends and family can ease your work troubles and help you see in a different way. If you don't connect with people, you won't have support to turn to when you need help. The activities we do with friends help us relax and we often have a good laugh with them., which is an excellent stress reliever And may be your friends or colleagues can also help you out with some solutions to your problems. Avoid unhealthy habits Don't rely on alcohol, smoking and caffeine as your ways of coping. This will not help you to relieve any stress in fact it will create new problems. It might provide temporary relief but it won't make the problems disappear. Drink plenty of water and eat healthy small nutritious means. Hunger and dehydration provoke anxiety and stress. So, stay fit and healthy. BE positive Look for positives in life and things for which you are grateful. Write down three things at the end of everyday which went well and for which you are grateful. People don't always appreciate what they have. They always tend to crib and complain about everything. Make a conscious effort to train yourself to be more positive about life. Change your perspective and you will be able to see your situation from a more positive point of view. Step 1: Lie prone on the floor. Loosen your belt and restrictive clothing. Step 2: Relax and exhale as completely as possible. Begin to inhale slowly making your belly rise. Now move your rib cage. Now your chest. Hold it for a second. Now, exhale completely, all the air out of your lungs. Try it again. This is complete breathing. Breathe normally for a while, and in the next minute take at least one more complete breath. Pause one minute. Step 3: You are still lying prone. As you lie there you will begin stretching muscles to achieve unblocked circulation. Bring your arms above your head and stretch them away from you fully. Now stretch your legs and feet downward, away from you, take a deep breath, let go and relax. Pause ten seconds. Feel the effects of the stretch on your body and on your breathing. Pause 15 seconds. Now sit up very slowly. Step 4: Stand up for this part of the exercise. There are three very basic stretching postures to increase flexibility. As you do your backward bend pay attention to stretching your abdomen and back muscles. Important:Go only as far as you can. Don't push yourself. Bend slowly. As you do your forward bend, pay attention to the stretch of your back muscles and backs of legs; blood in head and arms. As you do your side stretch, pay attention to stretching in your chest, sides and neck. Step 5: Assume a comfortable sitting posture, one you can hold for 15 to 20 minutes. This could be in a chair. Get comfortable and close your eyes when you are ready. Please note everything you are aware of C outside sounds, your bodily awareness, thoughts; note this awareness and do not change it. Then, notice shifting from outside sounds to thoughts of bodily awareness. After approximately five minutes of this, notice that breathing is occurring; again, not to change it but only to notice it. One can enhance this noticing by attaching the words breathing out to the breath as it leaves the nostrils and breathing in as the breath reenters. As awareness shifts from breathing to thoughts of external sounds, allow that to happen and the return to breathing out-breathing in (following the breath). Continue this for five to seven minutes. At this point, try to incorporate some visual imagery in the form of a golden light with the in-breath. See yourself breathing in this golden light and watching it fill the inside of your body. This could be in a particle, vapor, smoke, or mist-like form, whatever is comfortable for you. Visualize this light in your head, shoulders, chest and breath out any tensions in the form of a black color. Continue until you visually experience your whole body as being filled with this golden light. Experience that feeling. Stay with this experience for another minute or two. Then, become aware of your breath again, with your body sitting on the floor or chair (feeling grounded). When ready, open your eyes. Step 6: Try this breathing exercise for 15 to 20 minutes daily until you are able to achieve full breathing and stress reduction in a progressively shorter period of time. Step 1: Use the relaxation training and breathing exercises above to get yourself relaxed. It is important to be relaxed to stop a recurring thought. Step 2: With a recorder, record the word stop on alternating 1, 2, and 3 minute intervals for a 30-minute recording. Call yourself into a relaxed state before using the ``Stop'' tape. Then, think of your fear, feared object, or event. Every time you hear stop; stop the thought. Return to the thought again and only stop the thought when you hear stop. Do this for 30 minutes every night for two weeks or until you are able to stop the thought every time you hear stop. Step 3: After you are trained to stop thoughts by using the Stop recording, you are ready to stop your thoughts by yelling stop out loud. For 30 minutes think of your fear, feared object, or event and yell stop to stop the thought. Once you stop the thought go back to thinking about the thoughts for awhile, then yell stop again. Do this over and over again for 30 minutes each night for two weeks or until you are able to stop the thought every time you yell stop. Step 4: After you have trained yourself to stop thoughts by yelling stop, you are ready to train your thoughts to stop by whispering stop. 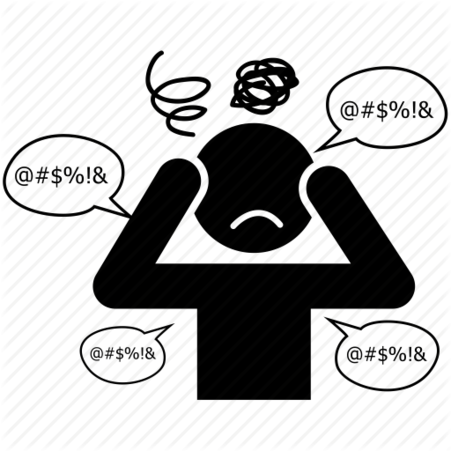 For 30 minutes repeat the process of dwelling on your fears, feared object, or event, but this time whisper stop to stop your thoughts. Do this for 30 minutes nightly for two weeks or until you are able to stop the thought every time you whisper stop. Step 5: After you have trained yourself to stop thoughts by whispering stop, you are ready to train your thoughts to stop by thinking the word stop. For 30 minutes repeat the process of dwelling on your fears, feared object, or event, but this time think stop to stop your thoughts. Do this for 30 minutes nightly for two weeks or until you are able to consistently stop the thoughts by thinking the word stop. Step 6: Use thinking the word stop to stop thoughts of your fear, feared object, or event from then on. It is a technique that will halt your dwelling on the fearful thought in the future. 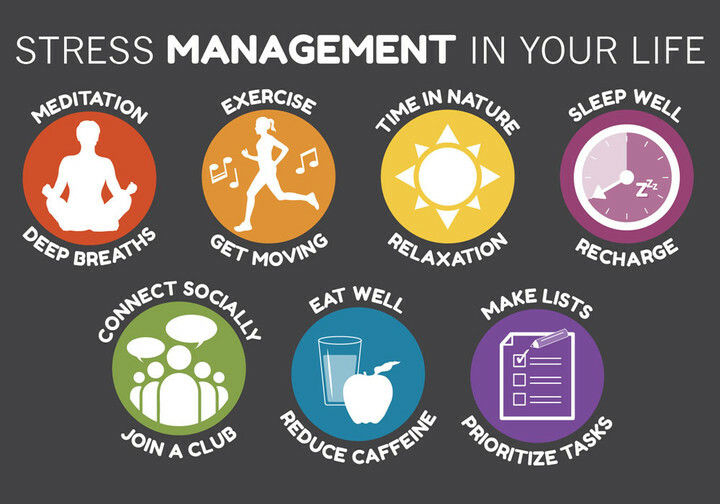 Stress-management strategy is to evoke the relaxation physical response on a regular, daily basis. You may have grown to accept a certain high level of stress and anxiety as normal. You may be unfamiliar with what it feels like to be relaxed, calm, and unstressed. With progressive relaxation you learn what it feels like to be relaxed, you learn to increase relaxation to a new level. By doing this you not only improve your physical well being by reducing hypertension, headaches, and other physical complaints, but you improve your mental state by reducing stress, anxiety, irritability, and depression. Progressive relaxation should take place in a quiet, attractive room. You should be completely supported. There should be no need for exertion to maintain body support. You should wear comfortable, loose-fitting clothing during the sessions. Do: Allow your mind to quiet down. If tense thoughts enter while you are relaxing, let them pass out of your head. Don't: Think your way into tension. If you can't clear your mind, take a long, deep breath and let it out slowly. Do: Stay alert and conscious while you are relaxing. Pay close attention and note any changes in your body (feelings that stand out for you). Don't: Allow yourself to become groggy and sleepy. If you start falling asleep, open your eyes and sit up. When you are ready, return to relaxation posture. Do: Go at your own pace and let go of your muscles as your body decides to give up tension. Don't: Expect yourself to relax all at one. Like any other physical exercise, you must practice letting go step by step. Do: Give your body messages of appreciation for relaxing as you notice these feelings going through your body. Don't: Get down on yourself for not relaxing. Your body should be trusted to go at its own pace. Do: Stay aware of your breathing. Observe how much air you're taking in full breaths at regular rhythms. Don't: Smoke before, during or after relaxation as it tightens lung tissue and blood vessels. Let your body breathe. Settle back as comfortably as you can and close your eyes. Let your self relax to the best of your ability. Now, as you relax like that, clench your right fist. Just clench your fist tighter and tighter and study the tension as you do so. Keep it clenched and feel the tension in your right fist, hand, and forearm. Now relax. Let the fingers of your right hand become loose, and observe the contrast in your feelings. Now, let yourself go and try to become more relaxed all over. Once more, clench your right fist really tight - hold it, and notice the tension again. Now let go, relax; your fingers straighten out and you notice the difference once more. Repeat that with your left fist. Clench your left fist while the rest of your body relaxes; clench that fist tighter and feel the tension. Now relax. Again, enjoy the contrast. Repeat that once more. Clench the left fist, tight and tense. Now do the opposite of tension: relax and feel the difference. Continue relaxing like that for a while. Clench both fists tighter and tighter, both fists tense, forearms tense. Study the sensations. Relax; straighten out your fingers and feel the relaxation. Continue relaxing your hands and forearms more and more. Now bend your elbows and tense your biceps, tense them harder and study the tension feelings. All right. Straighten out your arms, let them relax and feel that difference again. Let the relaxation develop. Once more, tense your biceps; hold the tension and observe it carefully. Straighten the arms and relax; relax to the best of your ability. Each time, pay close attention to your feelings when you tense up and when you relax. Now straighten your arms. Straighten them so that you feel the most tension in the triceps muscles along the backs of your arms; stretch your arms and feel that tension. Now relax. Get your arms back into a comfortable position. Let the relaxation proceed on its own. The arms should feel comfortably heavy as you allow them to relax. Straighten the arms once more so that you feel the tension in the triceps muscles; straighten them. Feel that tension - relax. Now concentrate on pure relaxation in the arms without any tension. Get your arms comfortable and let them relax further and further. Continue relaxing your arms even further. Even when your arms seem fully relaxed, try to go that extra bit further; try to achieve deeper and deeper levels of relaxation. Let all your muscles go loose and heavy. Just settle back quietly and comfortably. Wrinkle up your forehead now; wrinkle it tighter. Now, stop wrinkling your forehead; relax and smooth it out. Picture the entire forehead and scalp becoming smoother as the relaxation increased. Now, frown and crease your brows and study the tension. Let go of the tension again. Smooth out the forehead once more. Now, close your eyes tighter and tighter. Feel the tension. Relax your eyes. Keep your eyes closed, gently and comfortably, and notice the relaxation. Now clench your jaws, bite your teeth together; study the tension throughout the jaws. Relax your jaws now. Let your lips part slightly. Appreciate the relaxation. Now press your tongue hard against the roof of your mouth. Look for the tension. All right. Let your tongue return to a comfortable and relaxed position. Now purse your lips. Press your lips together tighter and tighter. Relax the lips. Note the contrast between tension and relaxation. Feel the relaxation all over your face, all over your forehead and scalp, eyes, jaws, lips, tongue and throat. The relaxation progresses further and further. Now attend to your neck muscles. Press your head back as far as it can go and feel the tension in the neck now roll it to the left. Straighten your head and bring it forward. Press your chin against your chest. Let your head return to a comfortable position and study the relaxation. Let the relaxation develop. Shrug your shoulders. Hold the tension. Drop your shoulders and feel the relaxation. Neck and shoulders relaxed. Shrug your shoulders again and move them around. Bring your shoulders up and forward and back. Feel the tension in your shoulders and in your upper back. Drop your shoulders once more and relax. Let the relaxation spread deep into the shoulders, right into your back muscles; relax your neck and throat, and your jaws and other facial areas as the pure relaxation takes over and grows deeper, deeper, ever deeper. Relax your entire body to the best of your ability. Feel that comfortable heaviness that accompanies relaxation. Breathe easily and freely in and out. Notice how the relaxation increase as you exhale. As you breathe out, just feel that relaxation. Now breathe right in and fill your lungs inhale deeply and hold your breathe. Study the tension. Now exhale, let the walls of your chest grow loose and push the air out automatically. Continue relaxing and breathe freely, gently. Feel the relaxation and enjoy it. With the rest of your body as relaxed as possible, fill your lungs again. Breathe in deeply and hold it again. That's fine, breathe out and appreciate the relief. Just breathe normally. Continue relaxing your chest and let the relaxation spread to your back, shoulders, neck and arms. Merely let go. Enjoy the relaxation. Now let's pay attention to your abdominal muscles; your stomach area. Tighten your stomach muscles, make your abdomen hard. Notice the tension. And relax. Let the muscles loosen and notice the contrast. Once more, press and tighten your stomach muscles, make your abdomen hard. Notice the tension. And relax. Let the muscles loosen and notice the contrast. Once more, press and tighten your stomach muscles. Hold the tension and study it, relax. Notice the general well being that comes with relaxing your stomach. Now draw your stomach in, pull the muscles in and feel the tension this way. Relax again, let your stomach out. Continue breathing normally and easily. Feel the gentle massaging action all over your chest and stomach. Now pull your stomach in again and hold the tension. Push out and tense like that; hold the tension. Once more, pull in and feel the tension. Now relax your stomach fully. Let the tension dissolve as the relaxation grows deeper. Each time your breathe out, notice the rhythmic relaxation both in your lungs and in your stomach. Try and let go of all contractions anywhere in your body. Now direct your attention to your lower back. Arch your back, making your lower back quite hollow, and feel the tension along your spine. Settle down comfortably again, relaxing the lower back. Just arch your back and feel the tension as you do so. Try to keep the ready of your body as relaxed as possible. Try to localize the tension throughout your lower back area. Relax once more, relaxing further and further. Relax your lower back, relax your upper back. Spread the relaxation to your stomach, chest, shoulders, arms and facial area, these parts relaxing further, further, further, ever deeper. Let go of all tensions and relax. Now flex your buttocks and thighs. Flex your thighs by pressing down your heels as hard as you can. Relax and note the difference. Straighten your knees and flex your thigh muscles again. Hold the tension. Relax your hips and thighs. Allow the relaxation to proceed on its own. Press your feet and toes downward, away from your face, so that your calf muscles become tense. Study the tension. Relax your feet and calves. This time, bend your feet toward your face so that you feel tension along your shins. Bring your toes right up. Relax again. Keep relaxing for a while. Now let yourself relax further all over. Relax your feet, ankles, calves and shins, knees, thighs, buttocks and hips. Feel the heaviness of your lower body as you relax still further. Now spread the relaxation to your stomach, waist, lower back. Let go more and more. Feel that relaxation all over. Let it proceed to your upper back, chest, shoulders and arms, right to the tips of your fingers. Keep relaxing more and more deeply. Make sure that no tension has crept into your throat; relax your neck and your jaws and all your facial muscles. Keep relaxing your whole body like that for a while. Let yourself relax all over. Now you can become twice as relaxed as you are merely by taking in a deep breath and exhaling slowly. With your eyes closed you become less aware of objects and movements around you, thus preventing any surface tensions from developing. Breathe in deeply and feel yourself becoming heavier. Take in a long, deep breath and let it out very slowly. Feel how heavy and relaxed you have become. In a state of perfect relaxation you should feel unwilling to move a single muscle in your body. Think about the effort that would be required to raise your right arm. As you think about raising your right arm, see if you can notice any tensions that might have crept into your shoulder and arm. You decide not to lift the arm but to continue relaxing. Observe the relief and the disappearance of tension. Just carry on relaxing like that. When you wish to get up, count backward from four to one. You should then feel fine, refreshed, wide awake and calm.